This listing is for 20 rustic heart soap favors. They weigh approximately 2 oz. and will come wrapped in a clear cello bag, twine, and a personalized heart kraft tag. They are decorated with dried rosemary and lavender. Please let me know at the check out the date that you need them and the message for the tags. You can choose an assortment of colors/scents or just one scent. Please let me know if you need a custom color or scent. 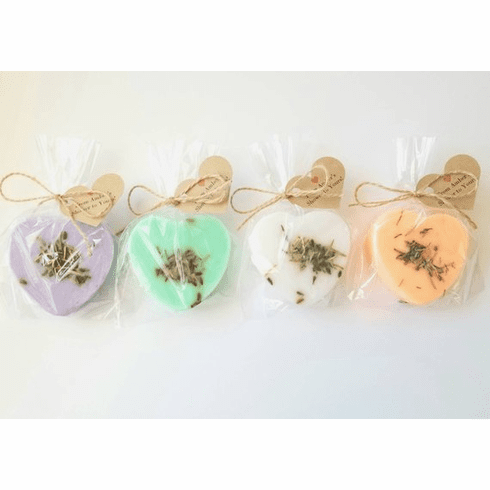 Soaps will ship Priority mail. Please read our shop policies before ordering.